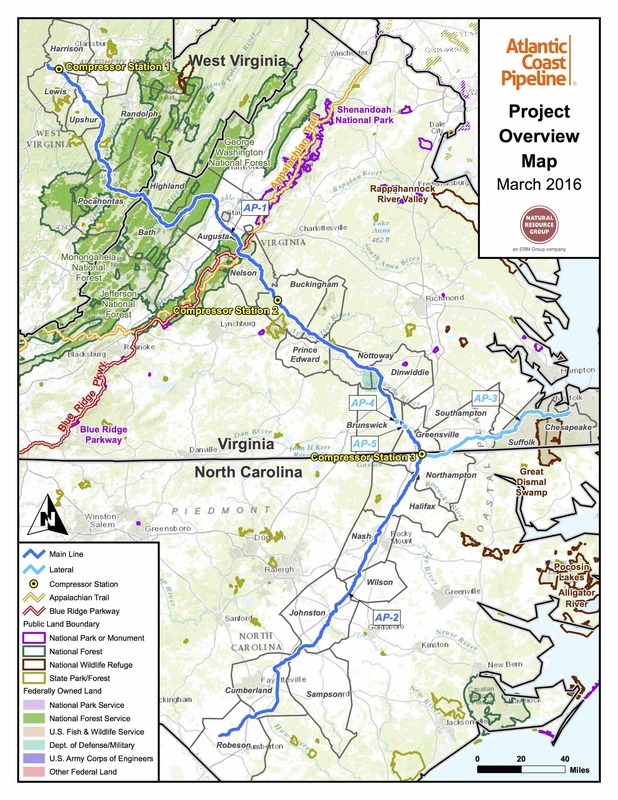 FERC has approved Atlantic Coast Pipeline, LLC’s and Dominion Energy Transmission, Inc.’s request to commence certain non-mechanized tree felling activities associated with the Atlantic Coast Pipeline and the Supply Header Project. Specifically, this authorization grants approval to cut trees and vegetation in wetlands, the 50-foot setback from wetland and waterbodies, and upland areas that were previously inaccessible due to being landlocked between two wetlands or waterbodies and excluded in the commission’s Jan. 19, 2018 approval. These areas are limited to Spreads 1-1, 2-1, 2A, 3A, 8, and 10 in West Virginia and North Carolina. According to FERC’s Rich McGuire, these activities may only occur on lands where easements have been obtained, surveys have been completed, and where no additional state or local permits are required for the activity. McGuire added that felled trees and vegetation debris shall be left in place until further authorization for any earth-disturbing activities is granted. The 600-mile underground Atlantic Coast Pipeline will originate in West Virginia, travel through Virginia, and then continue south into eastern North Carolina, ending in Robeson County. The project also includes a lateral extending to Chesapeake, Virginia, and two additional laterals that will connect to two Dominion Energy electric generating facilities in Brunswick County, North Carolina and Greenville County, Virginia. Both projects are expected to be placed in service towards the end of 2019.